Influencer outreach and engagement is one of the best ways to build your visibility online and attract attention to your business. It’s also a great way to develop thought leadership, build social proof and enhances the effectiveness of your paid media efforts. Create and/or optimize your social profiles. Research and identify top priority online influencers in your industry. Actively listen by developing curated social feeds of high-quality, relevant content on strategic topics. Develop and publish thought leadership and tactical content. Monitor digital engagement in key social networks and cultivate opportunities for influencer outreach and relationship building. Let’s explore each of these activities in greater detail. 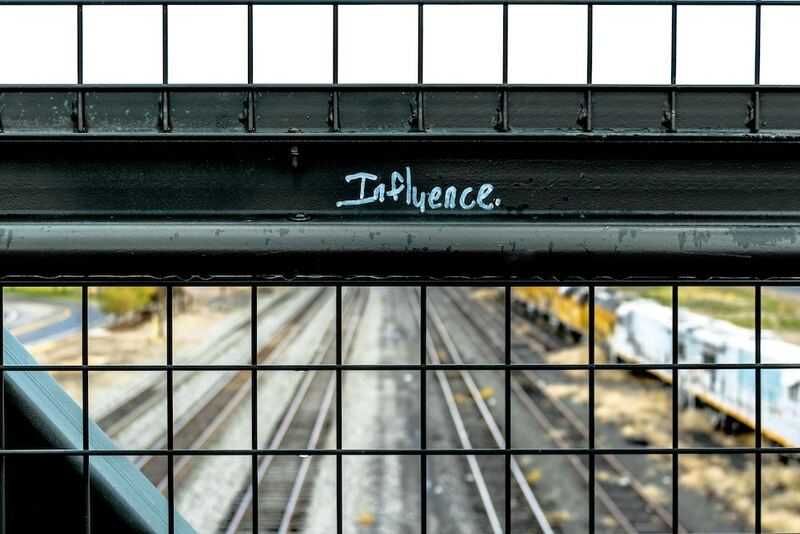 When developing an influencer outreach and engagement strategy, it’s important to recognize you actually have two distinct, strategically important audiences you are trying to reach. First, there are the people you want to attract and sell products and services to: these people are your potential customers, your existing customers, and various strategic partners or peers who may have an interest in your offering. In this case, you want to attract people who are prospects or may refer prospects for your services. Second, there are group of people online who already have influence with your potential and existing customers, strategic partners, etc. These influencers are the gatekeepers of the online audience you are trying to attract with your outreach efforts, even though these influencers are not themselves likely to ever be your customers. Where are they? What events and conferences do they attend? What do they care about? What causes and policies do they support? What are they interested in? What publications do they regularly read? Most importantly, your target audience is made up of people who are, generally speaking, more open to connecting and engaging with other people in social networks. Which means that your efforts in influencer outreach and engagement are likely to be more successful if led by a brand ambassador working closely with your corporate brand accounts. People engage other people online, yet most brands are missing opportunities in social networks because their corporate leaders and employee brand ambassadors are on the sidelines of the influencer strategies, instead of front and centre as they should be. I’ll talk more about how to find online influencers below. Before you begin engaging with anyone, you’ll want to make sure your social profiles are complete and professional looking. Keep in mind the things you’ve identified that are important to your target audiences while you are optimizing your profiles. At a minimum, you should have an active presence on Twitter and LinkedIn. Depending on your audience, you may also want profiles on Instagram and Facebook, but LinkedIn and Twitter are higher priority for most professionals. A concise bio explaining who you are and what you do, including any relevant keywords. An attractive, appropriately-sized banner image. Set a vanity URL, rather than just the default URL assigned by LinkedIn. Write descriptions for each position you’ve held, current and previous, and make sure they are linked to the appropriate company pages on LinkedIn. Offer and request some written recommendations from past colleagues, clients and strategic partners. Add your Twitter account to Contact and Personal Info section (but DO NOT link your sharing on LinkedIn to your Twitter account). Research the top companies in your industry and look for executives who work at those companies. Often, they will be good candidates for your list – particularly if they are active online. Also, search for existing influencer lists on the topic – someone else may have already curated a list of interesting people for you to follow. Once you have a solid working list, look at who they are following on Twitter, and add some of them to your list. Next, you’ll want to start following the top-priority influencers on your list on Twitter. Bear in mind that Twitter has strict rules about aggressive following, so limit yourself to following no more than 20-50 each day. You may also want to organize the people you’re following using Twitter lists. People will be notified when they are added to a list, which can be a good way to get their attention in a non-annoying way, provided they can see that the other members of the list are relevant. You can also follow any of these influencers who are active on LinkedIn. I’d recommend waiting to build some familiarity with influencers before making an actual connection request on LinkedIn. We’ve also written an article about how you can use LinkedIn Sales Navigator to track and stay connected with target influencers. What conversation topics are relevant to the business you’re in? Who is having meaningful conversations online in the areas you’re interested in? Who is considered influential in these spaces? How can you add value to these conversations, and earn the attention of influencers? Use content discovery tools – Try creating Twitter lists, based on topic areas or geographies or priority companies, and then monitor those feeds regularly. You can also monitor topical Twitter keywords and hashtags manually. We’ve found tools such as Nuzzel and/or BuzzSumo can be used to track the most actively shared content in your network, revealing popular items for you to share. And finally, you can configure a feed reader, such as Feedspot, to monitor the blogs and feeds of key influencers and trade media. Is the content relevant and likely interesting to your audiences? Is the content you are sharing sourced from a target influencer (and have you credited them in some way when you share it)? When you share relevant content for your audience AND mention an influencer, you create the conditions for getting the most out of your content curation. Use a scheduling tool – Configure a social sharing tool, such as Buffer, and queue content to be shared to all social accounts throughout the day and week. Of course, once you have this foundation of content sharing in place, you can do some live sharing and engaging in real time as opportunities arise. Mention the author (by @author) of the article and at least one influencer (via @influencer) through whose feed to discovered the piece you’re sharing. Use topical hashtags where possible. When someone Retweets you, like their Retweet. Reply to people and thank them when they share your content or mention you (ok, not every single time, but show your gratitude). LinkedIn sharing – Share to LinkedIn about once a day, then supplement with native shares that are more conversational in nature. Like on Twitter, you can tag authors and/or influencers when sharing their content (type @ then continue typing the name of the person and select when the name appears). This is a good way to increase views and engagement. Finally, always try to add some context to the content you are sharing, since that will help you stand out in your network. Thought leadership – For the purposes of this article, thought leadership is defined as content created to share insight and perspective on subjects in which you have expertise. Lists of top influencers to follow on specific topics (these people can be mentioned on social media when sharing the article). Articles on industry trends to which influencers are canvassed to contribute their views. Top book reading lists for specific topics (authors of these books can be mentioned when sharing). Top Reads: lists of best articles on specific topics (authors of which can be mentioned when sharing). Glossary of terms on specific topics (which are helpful for SEO). When launching new social media profiles and embarking on a content marketing campaign, tactical content can be an effective strategy for attracting impressions and engagement because the influencers mentioned in the tactical pieces have a vested interest in sharing and distributing your content within their social networks. Consistent publishing is important for building readership, so we recommend publishing at least once or twice a month at minimum. Alternating between thought leadership content (for positioning your company and its executives as experts) and tactical content (for growing an audience and attracting attention) is a good way to build audience. An editorial calendar helps to map out your topics and increases the likelihood of meeting your content publishing objectives. Topics can be scheduled in a shared calendar and developed with the support of an editorial team. One of the toughest things about writing regularly is knowing what to write about. Coming up with 6 months to a year’s worth of topics in advance saves time and helps make your content more consistent and engaging. Look at the year ahead and think about what your audiences will be thinking about at certain times of the year. Keep in mind any seasonal trends that are relevant to your industry – for example, if you work in financial services, your readers may be interested in tax topics in April and year-end financial tips in December. Once you’re creating and sharing content regularly, you’ll want to monitor your digital engagement. Analytics can tell you which content is getting the most traction. We use custom-built reports in Google Sheets, but the reporting you get in Google Analytics, Twitter and Buffer will work just fine. Unfortunately, LinkedIn only provides analytics on each post separately, making it difficult to get a clear idea of how your organic content sharing is performing overall – which is where third-party sharing apps like Buffer come in handy. At least monthly, review your social analytics in Buffer. Choose a couple of your most popular posts and re-share them for extra engagement. You can add ‘In case you missed it’ (or ICYMI) to indicate that it’s a re-post. On a monthly basis, you’ll also want to review your website analytics. Google Analytics can tell you which of your articles are generating the most traffic to help inform your future content planning. The Acquisition report in Google Analytics can also tell you how much of your traffic is coming from social networks. Finally, make sure to install the Twitter and LinkedIn apps on your phone, so you can get notifications in real time. This will help you identify engagement opportunities and have conversations with influencers and people in your target audiences. The influencer outreach and engagement strategy outlined above is not a marketing campaign that has a distinct beginning and end. Rather, it’s an ongoing method, or strategy, for building visibility for your company and its key leaders and digital ambassadors through leveraging listening, curation, sharing and influencer engagement in social networks. Building your organization’s capacity to engage in social networks on an ongoing basis will complement and enhance your marketing and public relations efforts, while embedding your business in the ecosystem in which your customers live.